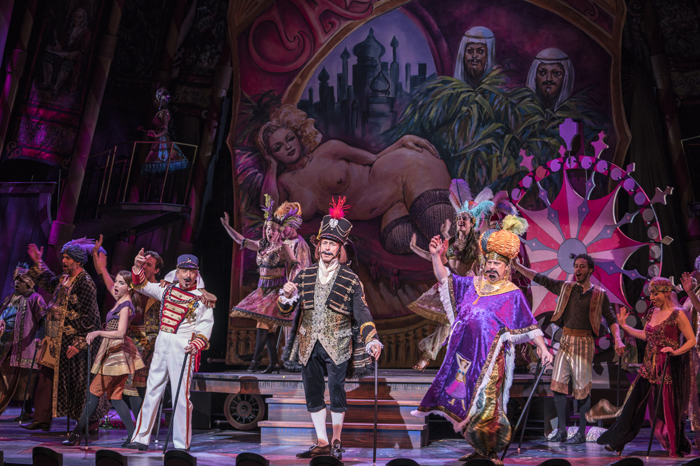 The New York City Opera (NYCO) marked the second season in its new home, the Rose Theater at Jazz at Lincoln Center, with a new production of Bernstein’s “Candide” directed by Harold Prince. WorldStage provided audio support for the opera, which premiered in 1982 and is based on Voltaire’s novel. “WorldStage has been supporting NYCO with audio and video services since the company moved to the Rose Theater,” says WorldStage account manager Tony Rossello. “We will be providing video support for the next opera this season, Respighi’s ‘La Campana Sommersa.’” Although operas are typically acoustic, “Candide” tasked noted sound designer Abe Jacob with reinforcing audio for the performers and musicians in a transparent and natural way. WorldStage supplied a DiGiCo SD9 live digital audio console for the front of house, Sennheiser shotgun mics for area miking, and DPA 4061 and 4022 industry-standard lavalier mics for amplifying the performers’ dialogue. WorldStage also stocks DPA’s new d:fine lavalier series. Jacob also requested a Telex BTR-800 2-channel UHF synthesized wireless intercom, a tried-and-true system for wireless communications. Abe Jacob augmented house sound reinforcement with eight compact Meyer MM-4 speakers used as apron front fills. In addition, WorldStage furnished an array of legacy gear, a complement of Sony monitors and Elmo cameras, to provide no-delay video monitoring to stage management and operations. “I’ve worked with WorldStage on every show we’ve done at the Rose,” says John Farrell, director of production for NYCO. “WorldStage is a very talented group of people who always provide the best service and equipment.” Andrew Guberman was RF and communications tech for WorldStage; Michael Benovich was the freelance systems tech.